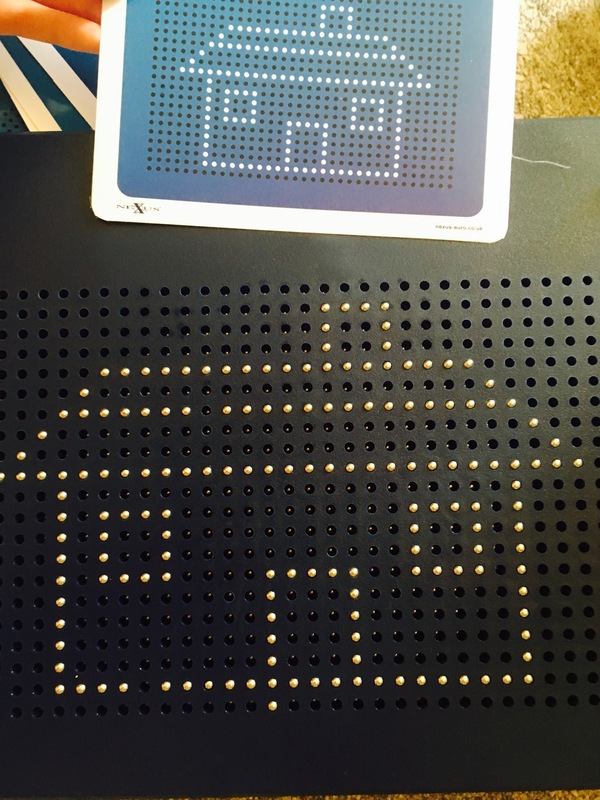 The children have been absolutely loving playing and learning with the Nexus MagnePad this week. 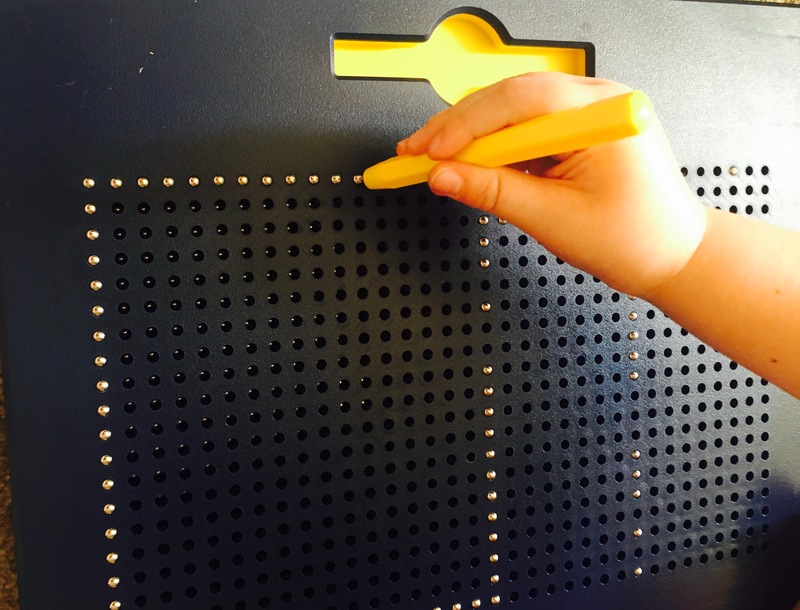 This stunning magnetic board is full of metal balls that are lifted to the holes in the surface of the board using the magnetic pen. Children can use it to draw, practise writing, letter formation, shapes and even be inspired to try drawing the pictures from the twenty example cards provided. 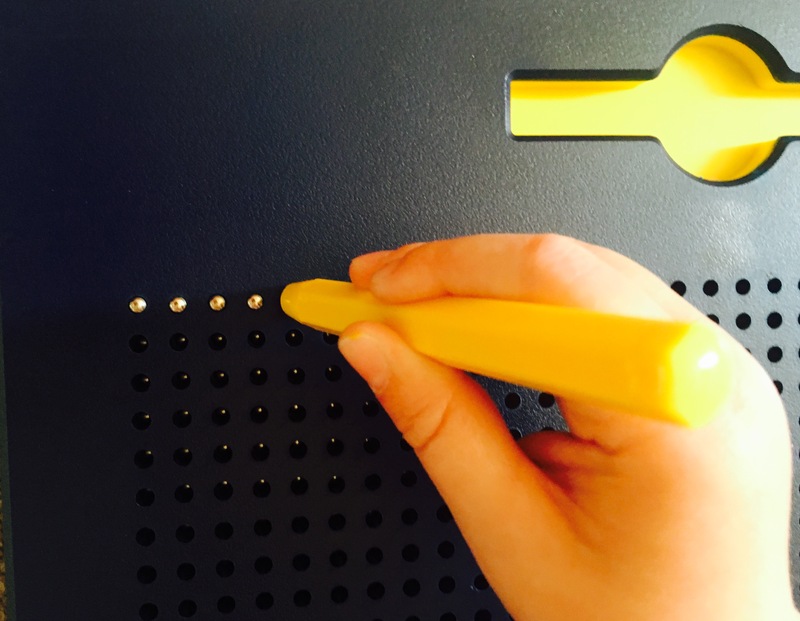 Sensory Experience– From the clickety-clack sound of the metal balls when they stick into position, to the magnetic pull you feel through the pen. 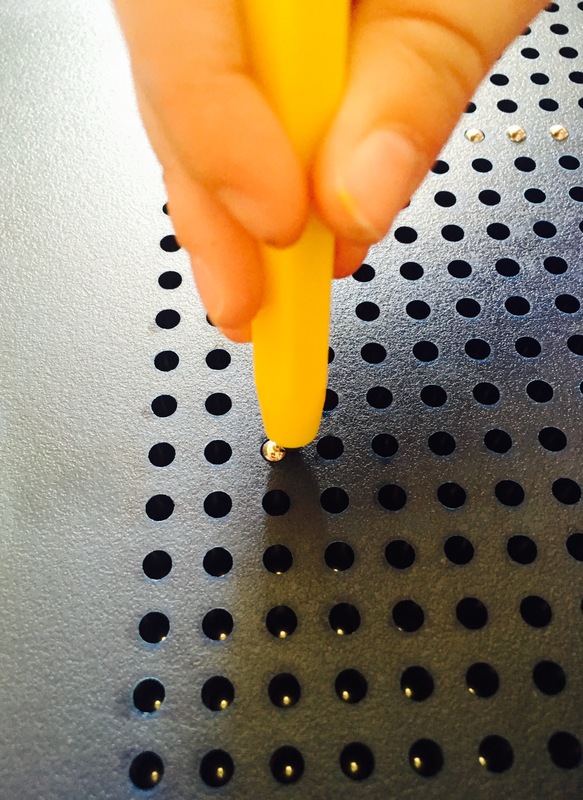 This resource can be therapeutic for children who require additional sensory stimulation. 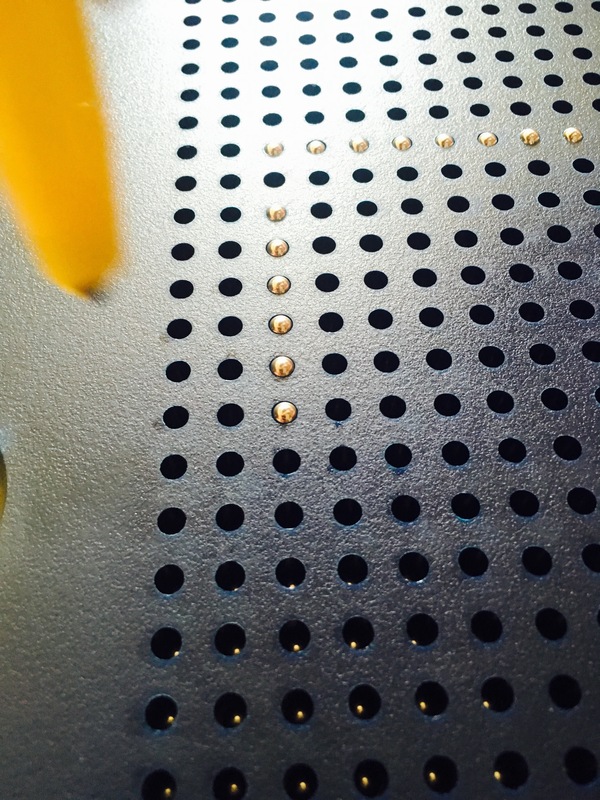 Multi-Use– It struck me how many different uses the MagnePad has in learning. We used it for practising shape, number and letter formation as well as basic spelling/reading. It can also be used for drawing, learning shapes, basic maths and pattern formation. 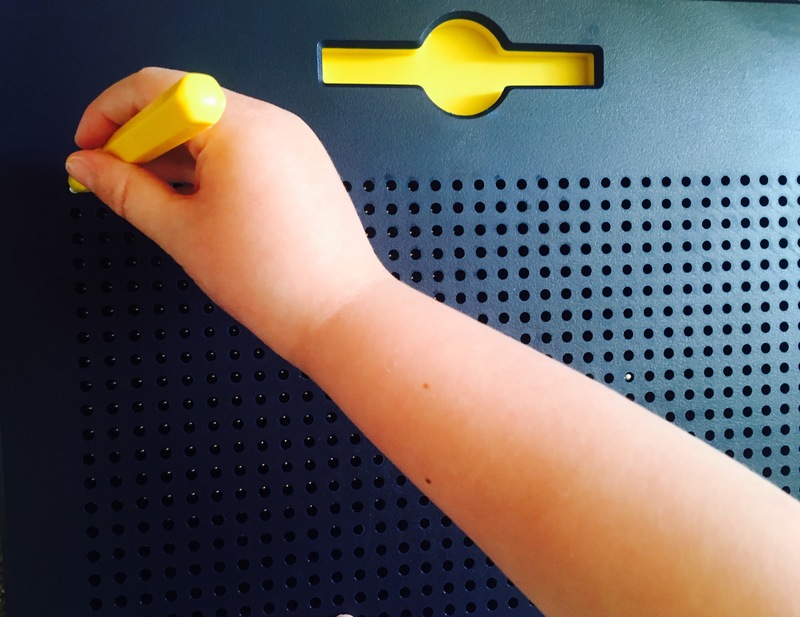 Developing Attention to Detail– One thing the children really benefited from when playing with the MagnePad was developing their focus and attention to detail. 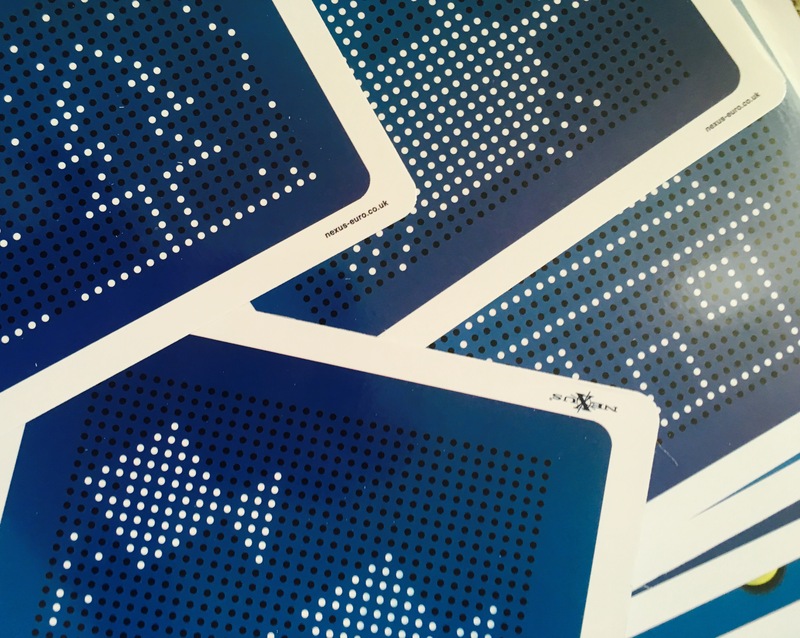 The MagnePad comes with 20 pictures of cards to challenge the player to try and create. 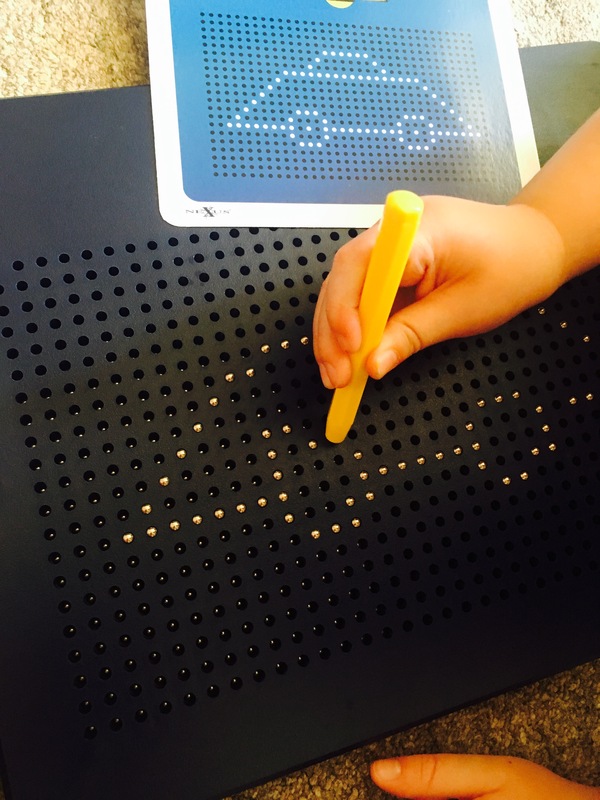 Copying the pictures requires a lot of concentration for children, counting the spacing of the lines and the number of dots per line. Not only that, but it provides a brilliant opportunity for practising counting skills. Fun! Most importantly, the children loved playing and creating with it! It’s enjoyable, portable and unique and really engages kids. Please can you let me know where I can purchase one of these. Looked on Nexus website but it doesn’t seem to be on there? Hi Katherine, I’ve just emailed Nexus to ask them for you and as soon as I find out I’ll message you back on here with the link. I know they have been launching their new website so it could be due to this. ← What can Children Learn from a Minibeast Hunt?